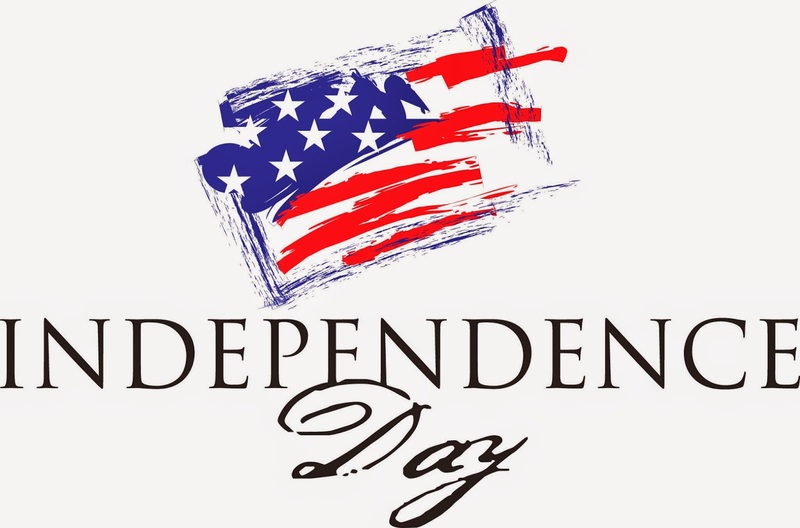 Today people across the United States are celebrating independence day, recognizing this country gaining their independence from Great Britain. In addition to that, today is my own celebration of independence, Today marks one year free from cancer! On July 2nd 2013 I finished my last SBRT treatment at Mayo and we returned home on the third of July. That memory stands so clearly in my mind. A year and 2 weeks ago my cancer had returned. I had three tumors, about 4 cm each, growing right next to vital anatomical structures. After looking at my images my surgeon at Mayo told us that I was "inoperable" and that there was no hope for recovery. I asked him if he had other patients as serious as me and what they had done. He told me that he had others as bad off as me and that they had tried all sorts of things including holistic and conventional therapies and that he had never seen anyone at this point survive. He is a world class surgeon, these were terrible words to hear. JoLynne and I took a long sad walk by the river there in Rochester. It was overcast with a slow rain. That was a very hard day! Despite his words we thought that perhaps God still had a plan for me that included my recovery. Even driving to the airport in Minnesota after that unpleasant visit I remember telling JoLynne, "I just think that there is something more that we haven't heard yet"
I remember at Church a day or so later. A dear friend of mine, my former Stake President, came up and asked to know what was going on. I told him what we had been told. He listened patiently and when I finished he said "That's perfect". I was so startled at his response and asked him how he could possibly feel that way. This was his response "It's perfect because men have done all that they can to cure you, now when you are healed you will give the credit to God." My friend is an wonderful, unusual person. Well a day or two passed and we had another call from Mayo, this time from Dr. Foote, inviting us to return and attempt a cure using SBRT. He told me that at that point they had 9 months of data using this treatment against osteosarcoma and so far the results were promising. We chose to return and undergo the treatment. Today marks one year since that treatment completed. Every three months since that time I have had PET/CT scans carefully looking for cancer and so far I am free, NO CANCER! It has been a hard year in many ways, the pain from radiation burns has been challenging. I spent at least 9 months of the last year using dental anesthetic to control the pain. I have had set backs and challenges but here I am. As of now, my pain is very manageable, I am able to work full time, my energy is good. I even ran four miles the other day. My legs were sore and I laughed all day whenever I felt my sore legs. There was a time when four miles wasn't even a warm up run for me. At the same time, I am so grateful that I can run. I even order new running shoes the other day off of eBay. (They don't sell my favorite shoes in the store anymore). True to my friends words, I was healed and I gladly give the credit to God. I live a life redeemed. My life was at the edge and God chose to pull me back and to allow me to remain. How does one live a life redeemed? I think about that every single day. Every morning I ask God to lead me to someone whose life I can bless, whose burdens I can lighten. I want to show God my appreciation through the way that I live my life. I can honestly say that nearly every day that prayer is answered and that makes me happy. As that anniversary approached I sent my dear friend, Dr. Foote, an email expressing my feelings. His response back was very sweet, perhaps I will share that. I send you my warmest greetings from Utah. I am approaching a one year anniversary of being cancer free. This is a major milestone for me. I feel that my Life was spared by my Heavenly Father but I see your hand as well. Thank you for your role in this miracle. I am not sure if you are aware that near the end of June, last year, when my cancer had returned, we went out to meet with Dr. Moore again to see what could be done. He was not optimistic. In his words, "If I operate on you again there would be nothing left of you. You would have no life at all." "Don't spend any more on medicine, go on a cruise or something". When I asked him if he had other patients who were in as dire circumstances as I was and he said he had several. I asked him if any had survived and he told me "No". That was a somber week for JoLynne and I. My former stake president and a dear friend sought me out on Sunday wanting to know what was going on. I explained what we had been told by Dr. Moore. My former stake president is an amazing man. He listened attentively and when I had finished he said "That is just perfect!" I couldn't understand why he would say that. Then he said "Men have done all that they can, now God can save your life and you will give the credit to Him" How I love that prophetic man. As I celebrate a sweet one year anniversary I want you to know that I do give the credit to God and I thank you for being his hands in my miracle. Thanks for sharing this with me. It really means a lot to me. I would like to believe that my thoughts were inspired and directed by the Holy Ghost as I pondered and prayed about how we might be able to help you. The glory and honor certainly belong to our Father in Heaven. It is humbling to be a tool or a servant through which He accomplishes His purposes. I am grateful that our Father brought us together for a brief season during our sojourn on earth! Well, for those of you in the United States I hope that you enjoy your celebration of independence day. For all of us, irregardless of where we live, we can each live a life redeemed. In my case my physical life was spared but for all of us, our lives have been redeemed spiritually through the atonement of Jesus Christ. If we accept him as our Savior we will be spiritually saved. This is far more profound than being physically saved. The consequences will stretch thoughout the eternities. How will one live a life redeemed? That is a question worth asking. Oh Eric, I love you so much. I couldn't be more happy for you and JoLynne. You are my hero! I am so grateful you have people in your life like your prophetic friend. I too will be ever grateful for Heavenly Miracles. It was AMAZING to see you and to see you smiling. You are amazing! Lois, we are soul mates. We have both been to the edge and been brought back by a miracle. I look into your sweet eyes and think "She understands!" Thanks for being there for me. I sure love you. Thank you Joe for caring what goes on in my life. I am grateful to have friends like you in my life. "Faith as a grain of mustard seed"